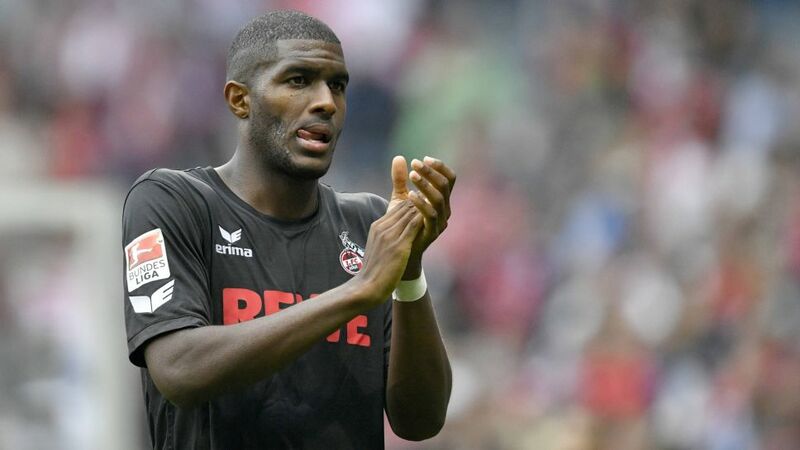 Anthony Modeste attributes his success to his teammates. Anthony Modeste proved unstoppable, even for Bundesliga giants FC Bayern München during Matchday 6, netting his fifth goal of the season to secure a 1-1 draw for 1. FC Köln and prevent Bayern from charging to their sixth straight victory. Is Modeste in your Official Fantasy Bundesliga team yet? Sign him up here! For Modeste, his fifth goal of the season sent him to the top of the Bundesliga’s goalscorer table, alongside the likes of Pierre-Emerick Aubameyang, Javier 'Chicharito' Hernandez, Vedad Ibisevic and of course, last year’s winner Robert Lewandowski. "Lewandowski plays in Munich and I know that by the end of the season he will have 20 to 25 goals," said Modeste. However with a superlative display like that against Bayern, Modeste has the potential after 34 Matchdays to be at the top of the table. Yet topping a goalscoring table does not seem to be high on the list of Modeste's priorities. With 39 goals he is second only to Franck Ribery (with 71), as the top French goalscorer in Bundesliga history. Yet all Modeste can think about are his teammates. "I need to say 'thank you' to my colleagues," he said. To Modeste, the whole team is the reason for Köln’s success. With Modeste up front and his team strong behind him, Köln are experiencing their longest unbeaten run in the Bundesliga in 27 years and for only the third time in the club’s history, they have reached Matchday 6 unbeaten. In what will be his 96th Bundesliga appearance, Modeste looks in a good position to add to his goal tally when the Billy Goats face FC Ingolstadt 04 on Matchday 7. "We have 10 days break," says the Frenchman. "That should be enough to cure any aches from winning the point in München."